There are a lot of things that you might have taken for granted as "common sense" might not be as common as you think when you obtain second opinion from others. So tell me, how do you deal with shine on your faces after a few hours of activity? What I know is that quite a lot of people use oil blotting paper. For people who exist in a humid weather like Singapore's, blotting paper is one of the most damaging things you can do to your skin as it upsets your skin's natural-cleansing and protection habitat. Most people think they have oily skin, but actually their skin is producing more oil to combat its dryness - they fall under the category of "combination skin". By removing the oil indiscriminately with a rather crude instrument like a blotting paper, it will cause an imbalance of oil secretion and this problem will snowball into the future. 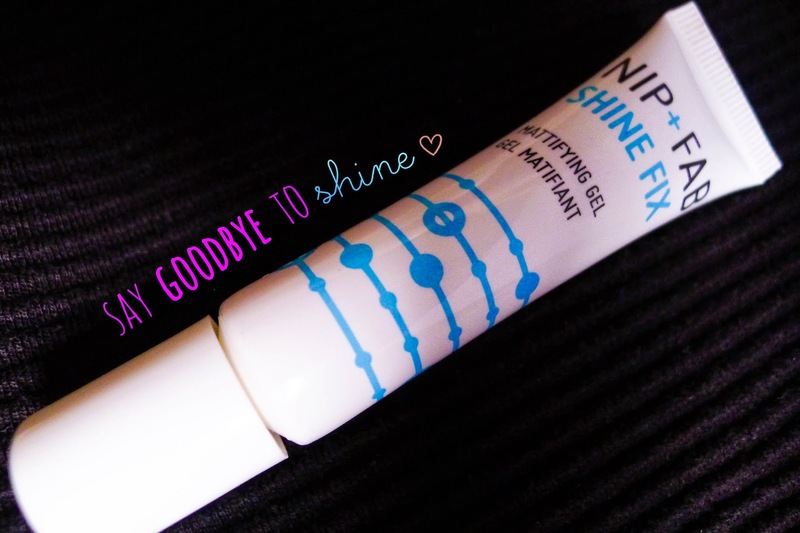 Recently, I saw many positive reviews about this product called the NIP + FAB Shine Fix Mattifying Gel and thought that I should reduce some unnecessary shiny angst in my life by adding this to my makeup routine. This mattifying gel helps to control shine and reduces congestion in your skin. This gel contains microsponges to regulate and absorb excess oil flow throughout the day while helping to promote a fresh, healthy looking complexion. Apply to the t-zone, forehead, nose and chin, as often as required. 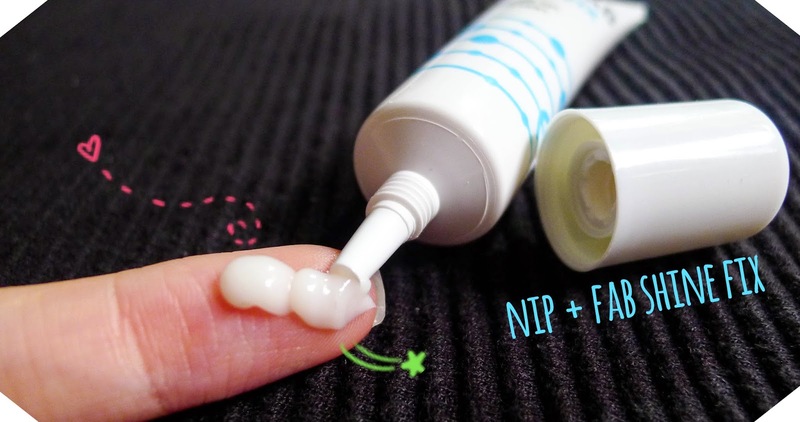 It is very easy to apply - just squeeze it out of the bottle and spread all over the commonly-oily areas. I applied it after I cleansed my face, presumably after sunscreen as well, but I didn't apply sunscreen here. 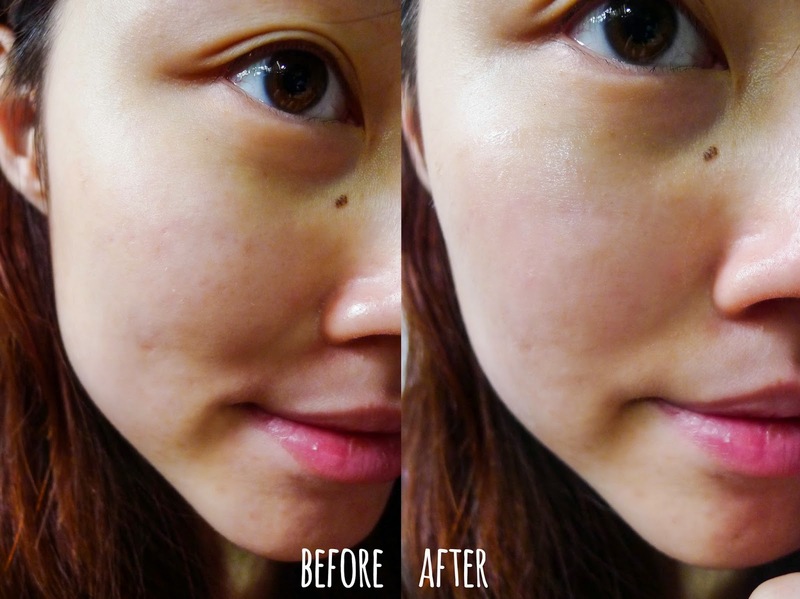 I applied it along my cheeks and at the side of my nose, which is often the culprit of super shiny areas. 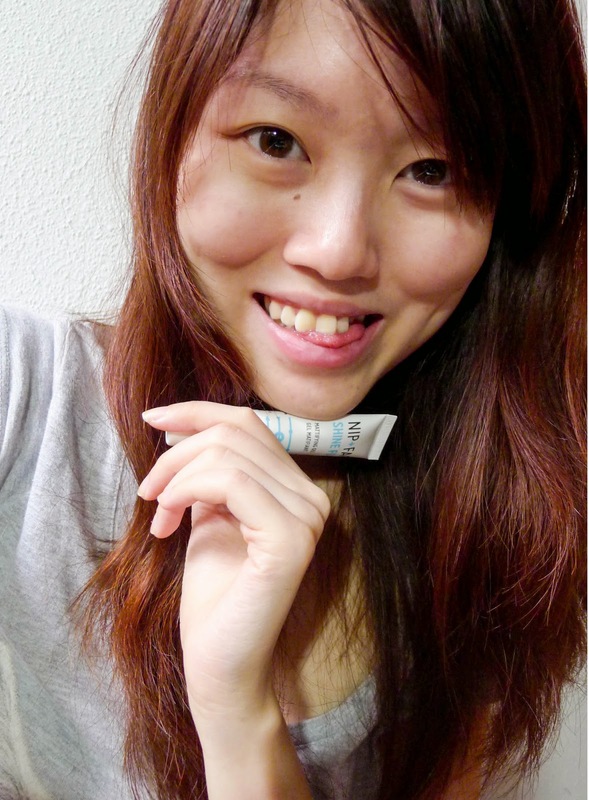 Aura Color Control Cream by the Face Shop - rolled on more velvetly than ever, and there is also a visible mattifying effect on my face due to the shrinking of my pores/ minute ridges on my face. On battling shine: I would give it a 9/10 when it comes to controlling shine/ oiliness feeling. It kept my face completely fresh from the makeup even after six hours of application, and I didn't feel like any of it was weighing my skin down. Usually at the end of six hours, I would feel a thin cloak of heaviness from oil secretion on my face. I shall do another 10 hours test next time if the occasion arises. Where to get it: It is available at selected Watsons and Guardian outlets at $19.90/15ml. You can also log onto www.nipandfab.com.sg to enjoy a 40% off storewide offer with the promo code "NF40SAM" (valid till 31 December 2014). The site is pretty cool as they have flash sales selling products at only $1/$3/$5 (note their expiry dates). Photography by Panasonic Lumix DMC-LX5.